WHAT'S IT ABOUT? 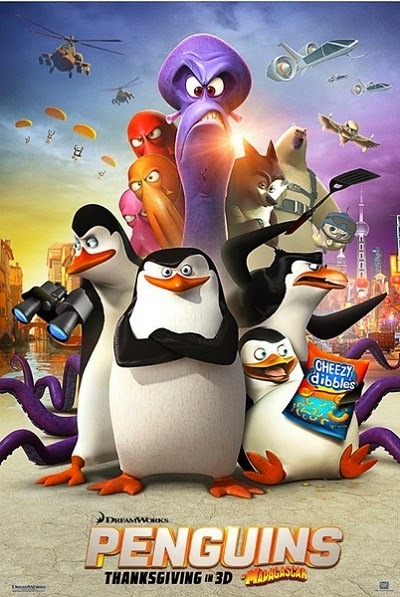 The loveable supporting characters from the Madagascar series get their own spinoff, battling an evil octopus (John Malcovich) while the under-appreciated “Private” proves his worth. IS IT ANY GOOD? 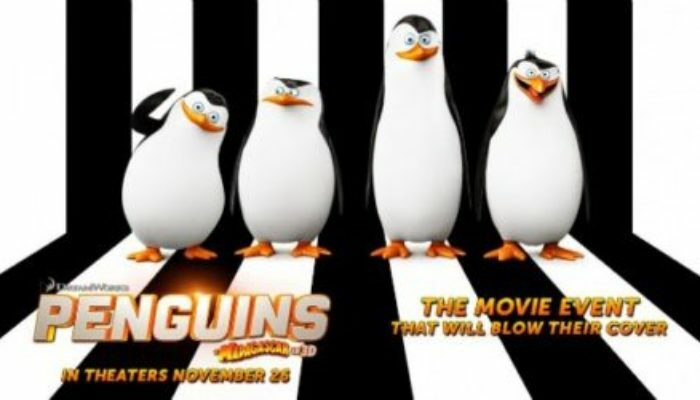 (GRADE: B) More witty and less spastic than the films that spawned it, Penguins of Madagascar boasts some legitimately funny one-liners, lovable characters, madcap action, and a talented vocal cast (including John Malkovich and Benedict Cumberbatch). The plot lacks much by way of substance, making this a lesser film than the better offerings of Disney, Pixar, or its own Dreamworks Animation, but it's colorful, well-animated fun that kids will love and parents won't regret. CONTENT OVERVIEW: Penguins of Madagascar is rated PG. There are a few mildly crude jokes and innuendos (“Hold onto your coconuts!”). Two male penguins accidentally kiss on the beak; one seems terrified while the other holds the kiss for a few seconds. There's plenty of madcap action, mayhem, and slapstick violence. MESSAGES TO DISCUSS: Give your friends a chance to prove themselves; often they'll grow into more than who they've been previously. Unchecked jealousy leads to bitterness, which can consume you and keep you from enjoying life.